The entry of mercaptans into the environment as an odor pollutant has always been considered as one of the environmental concerns. 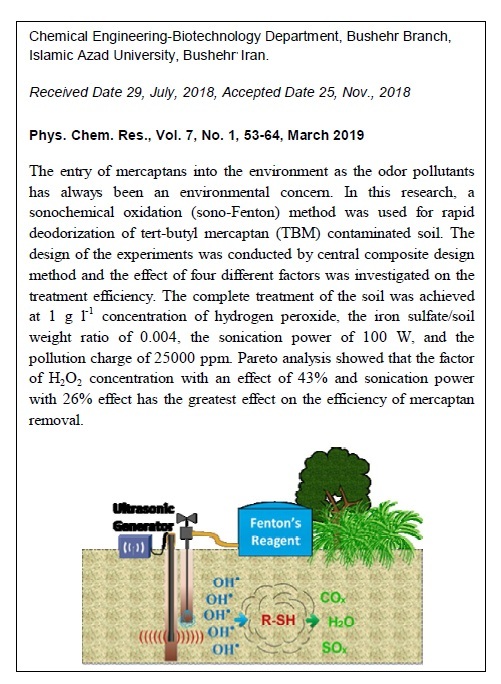 In this research, a sonochemical oxidation (sono-Fenton) method was used for rapid deodorizing of tert-butyl mercaptan (TBM) contaminated soil. 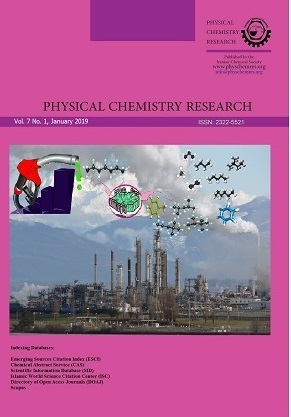 The design of the experiments was conducted by CCD method and the effect of four different factors was investigated on the remediation efficiency. The complete remediation of the soil was achieved at a concentration of hydrogen peroxide equal to 1g/l, the weight ratio of iron sulfate to soil, 0.004, the sonication power of 100W, and the pollution charge of 25000 ppm. Pareto analysis showed that the factor of H2O2 concentration with an effect of 43% and sonication power with a 26% effect had the greatest effect on the efficiency of mercaptan removal. Based on the experimental results, increasing the concentration of hydrogen peroxide and sonication power through increasing hydroxyl oxidation radicals result in enhancing the removal efficiency. Further, increasing the pollution load decreases the remediation efficiency although the intensity and heat generated by the oxidation reaction increases. The fitted quadratic model with correlation coefficient of 98% can accurately predict the removal efficiency.